School safety has brought a number of topics to the forefront. Care needs to be taken to make sure that solutions that are applied are not simply reactive or emotional, but rather truly respond to improving school safety. Recent reactive responses range from the President of the United States saying teachers should be armed to parents starting funding pages for metal detectors in schools. Reactive solutions might feel good to most people at first, but as you dig deeper into the details, such responses can cause more issues than they solve. Metal detectors are a reactive response to school safety. Metal detectors are simply machines that can be placed at entrances to make sure that guns are not brought into the schools. They operate by sounding a warning when a certain amount of metal passes through the detector. Good detectors will not only tell you if metal is passing through, but will also indicate which area within the detector’s sensors (a zone) the metal is passing. In order to be most effective, you need a detector that covers multiple zones. Such detectors range between two and five thousand dollars each, with the ones recommended for schools being between four and five thousand dollars (US). The detector shown in Figure 1 has 33 zones and was available on Amazon for $4,000 at the time this post was written. Many public buildings such as court houses and airports use metal detectors. These buildings are used as examples of how metal detectors are used effectively. There is, however, one big difference between these examples and schools. Government buildings and airports have limited entry points. Those entry points are constantly secured. A person cannot enter without going through the specific entrance points. In order for a school to be secure, it would need to be locked down to where nobody could ever without being checked via a metal detector. This would mean that for every event, at any time during the day, every person would need to be checked. This would include all after school activities, sporting events, and other activities that occur outside of the normal school hours. For each of these events, people would have to be checked. Additionally, all doors would need to be monitored to make sure that they are never opened or entered without a check for guns. This would require staffing not only during the school hours, but at any time anyone needs to enter a building. If there is a time when a person could open a door and let someone in without doing a check, then all of the safety that was gained with the detectors could be lost. One suggested solution is to eliminate many of the doors at a school. The reality is that schools were designed to provide easy evacuation in case of an emergency such as a gas leak, fire, or other situation. The high number of doors is a safety measure. Removing them, would reduce safety in the event of other situations. Assuming that a school could be secured, then at only $4,000 each, it might seem inexpensive to get a metal detector. While one person has set up a funding drive to get a metal detector for each school in our area, it is important to note that the cost of one metal detector doesn’t represent the true cost for a school. The first issue is that more than one detector is needed in most schools. As already mentioned, to be effective, you need to have metal detectors at every location where a person could enter a school. As such, buying one metal detector for each school in a district would be pointless. Rather you need one for each door. For HSE, this can 23 or more different doors at a single high school or as many as 15 at an elementary school. For example, New Britton Elementary has 15 numbered doors. Suddenly the $4,000 cost becomes $92,000 or more for a high school and $60,000 for an elementary, assuming just one only detector at each door. Assuming you install detectors (which might add an additional cost), you would then need a qualified person to monitor people passing through the detector. If you have 23 doors, that would mean an additional 23 people are needed to monitor each of the detectors. The salaries of 23 people would overshadow the cost of the detectors themselves. In a district with 21 schools, if you assume 15 doors per elementary through junior high, and 23 in each high school, then you are looking at over 300 detectors and staff. Another issue that schools would have to address if detectors were used is the flow of people into the school. To be effective, the high schools would need to be able to process around 2,300 students through the doors in 20 to 30 minutes. If you are using 10 main doors, then that would be 230 kids per door or roughly 10 kids a minute. As long as there are zero issues, then you might be able to do a kid every six seconds; however, I’ve never seen an airport line move that fast through a single detector. One of the issues raised with schools with detectors is that bottlenecks can cause lines to queue up outside of the doors. How do you make sure these kids lined up outside of the school door are safe? Similar to the queues that could be created outside of doors for kids to get into a school, you also have to consider the times that kids are outside of a school building. While metal detectors might help reduce the chance of weapons getting into a school building, they won’t do anything for the kids that are outside on the playground, the track, the football field, or otherwise doing outside activities. One of the comments I hear the most is from people who grew up with metal detectors in the schools they attended. They state that they had them when they were in school, so there shouldn’t be an issue using them now. The world changed. When these people went to school, there was no 1-to-1 initiatives where every kid carried a computer – a computer made with lots of metal. When you factor in the issue of every kid carrying a computer that will set off a metal detector, then you also need to factor in the increased amount of time it will take to get through the metal detectors as computers are removed from backpacks and processed outside of the metal detector. This not only slows down the entire process of getting kids into the schools, it also increases the need for trained people to monitor each detector since items would be getting passed around them. HSE Superintendent Dr. Bourff indicated that in the previous school district where he had worked, guns were not found in the school. Rather, tips led to guns that were hidden outside of the school. If a person hides a gun right outside of the school, then the detector isn’t going to slow them down should they decide they want to use it. While it would alert that they are there with a large piece of metal, other systems are in place within schools, such as the secured vestibules, that would be more effective. 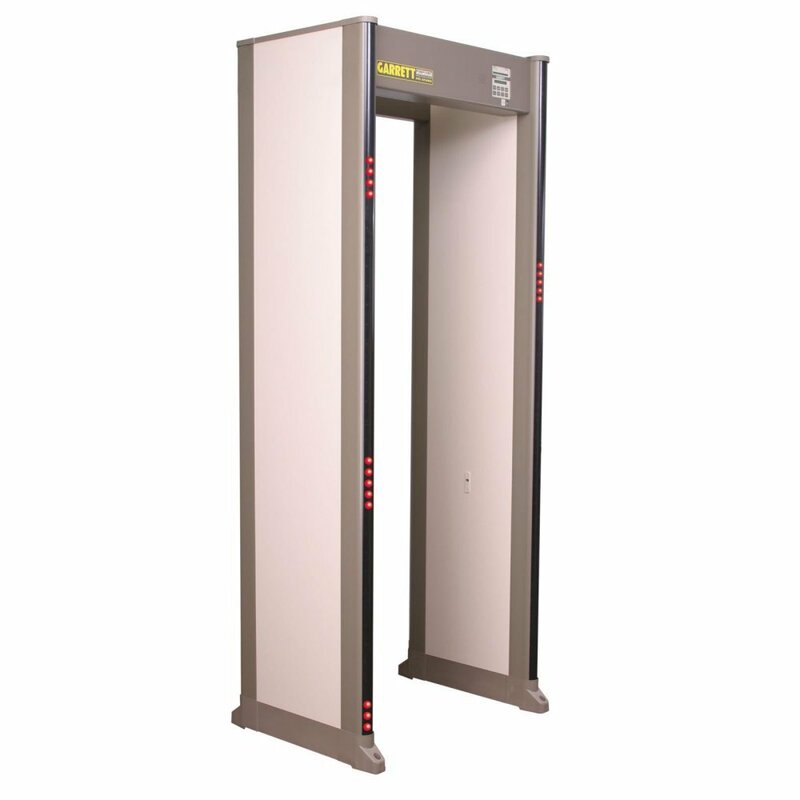 Metal detectors have been shown to be an emotional response to school security. While metal detectors do add an additional layer to school security, statistics are needed to show they are effective in schools. The true cost of buying and operating metal detectors would be better spent on other security features including an increase in Security Resource Officers and better communication. While having metal detectors might give the appearance of better security, it only takes one door to not be monitored for a few minutes to eliminate all of the security that the detectors were expected to provide. Most indications are that metal detectors are not a viable security solution in today’s twenty first century schools. While they might give the sense of security in the same way a fake video camera does, the reality is that they are flawed when it comes to preventing the threat they are meant to stop.